1 Million for Work Flexibility has more than 100 organizations on board to date as part of our coalition—and counting. We’re pleased to share more information about our supporter Appirio in this Q&A. It takes imagination, dedication, and lots of hard work to build a company from a mere idea to a game-changing enterprise in just a decade. That’s what the four co-founders of Appirio hoped to do in 2006 when they set up shop in a Salesforce start-up incubator. Based on the company’s success during the last 10 years—it now partners with leading brands like Robert Half, Coca-Cola, eBay and Facebook—it’s clear that their plan to revolutionize public cloud in the enterprise has come to fruition. Indianapolis-based Appirio’s growth has been spectacular, even as it has remained grounded in the resolution to disrupt the IT services industry and deliver a different experience to its customers. At the same time, Appirio has remained devoted to its unique corporate culture, which includes a commitment to transparency and flexibility for its employees. For example, almost 65 percent of “Appirians” work remotely, and even those who work from offices have the chance to telecommute occasionally. The company’s rapid growth and strong culture attracted the attention of leading IT, consulting and business process services company Wipro Limited, which purchased Appirio in 2016. As it moves forward, Appirio will continue to set itself apart from competitors by employing freethinking consultants who challenge conventional wisdom to help organizations create next-generation worker and customer experiences. And of course, it will remain committed to deliver results quickly through the cloud. In this Q&A, Erin Davidson, Appirio recruiting coordinator, talks about the “virtuous cycle,” the company’s commitment to flexibility, and its plans for continued growth and success. 1MFWF: At Appirio, you talk a lot about creating a “virtuous cycle” for a company’s workers and customers. What does that mean, and why is it so important? Appirio: We certainly do. We believe the Virtuous Cycle means that when you create a work environment and culture where your employees are empowered and happy, that in turn it will foster a more positive experience for your customers. When employees are happy and enabled, they produce their best work. This creates happier customers who are thrilled with their results. This is important to us as we highly value our own worker and customer experience, and are always striving to provide top value to both our employees and clients. Watch our video below for more. 1MFWF: What are the characteristics of the ideal Appirio employee, and why? How has recruiting these kinds of workers helped the company succeed? Appirio: We have identified five characteristics that are common among Appirians. Our recruiting team looks for these characteristics in candidates. You’re a change agent; you take ownership of your work, your company, and your customer. You go all in every day and are passionate about what you do. You are fun, collaborative, and a true teammate. You go above and beyond for your team and don’t mind getting your hands dirty. You are customer-centric and will be a fanatic for your customers. These characteristics were uncovered through a series of internal interviews from leaders, managers, and individual contributors. We know that culture fit is a critical component of a successful hire, as well as long-term engagement and retention. In order to find more folks who would thrive at our organization, we created a tool to serve as a guideline when assessing a candidate’s cultural fit. This tool has also enabled our interviewers to not confuse culture fit with social fit. 1MFWF: About 65 percent of Appirians work remotely. How do you support those remote workers? What other flexible work options does Appirio offer its employees? Appirio: We support our fully remote workers in several ways. We provide cloud technologies that make it easy for our remote team to stay connected. With the G Suite, our team can easily chat and jump on video calls together. We also use Salesforce Chatter to share information, connect, and congratulate each other on achievements. We offer reimbursement for home office costs (internet bill, etc.). We offer stipends for remote employees to meet up with other team members in their area or city. For example, Appirio will pay for a group’s happy hour or trip to a sporting event. In addition to offering fully remote opportunities, our workers are also given some flexibility within their work schedules based on their teams. We don’t mandate a culture of 8 a.m. to 5 p.m., so to speak. Many of our employees can determine their own working hours based on their team, responsibilities, and personal preferences. 1MFWF: Why has the company chosen to build on this flexible model? How has that affected the company’s culture? Appirio: Appirio has offered a flexible work environment since our founding. Our four founders believe strongly in cloud technology and how the right technology can enable a different experience for both your customers and workers. So at Appirio, we use systems that eliminate barriers to success. This enables our company culture to thrive across time zones and regions. 1MFWF: Appirio was acquired by Wipro in 2016. How will that acquisition position the company for growth in the years to come? How will your focus on flexibility help you achieve your goals? 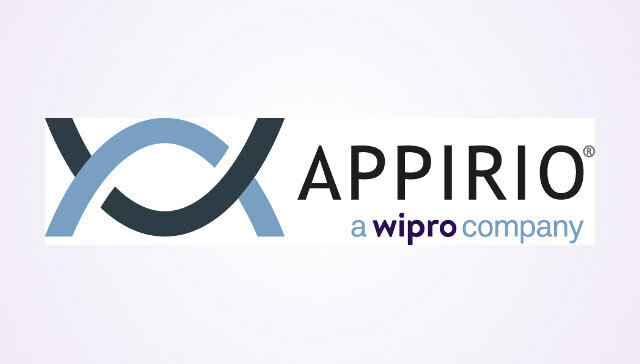 Appirio: In the days following the acquisition announcement, our CEO answered how we will continue to grow as Appirio, a Wipro company. It’s anticipated some of the growth will lead to new global locations, new partnerships, and new services offerings. Our focus on flexibility will enable our agility for years to come.